This map is informational only. No representation is made or warranty given as to its content. Ohio Fusion Soccer Classic and TourneyCentral.com assume no responsibility for any loss or delay resulting from such use. Many sports parks DO NOT have a street address. If there is no street address for a park or it is not known, it will not appear below. Teams are encouraged to double check with reliable third-party maps and/or DOT sites for construction, detours and delays. 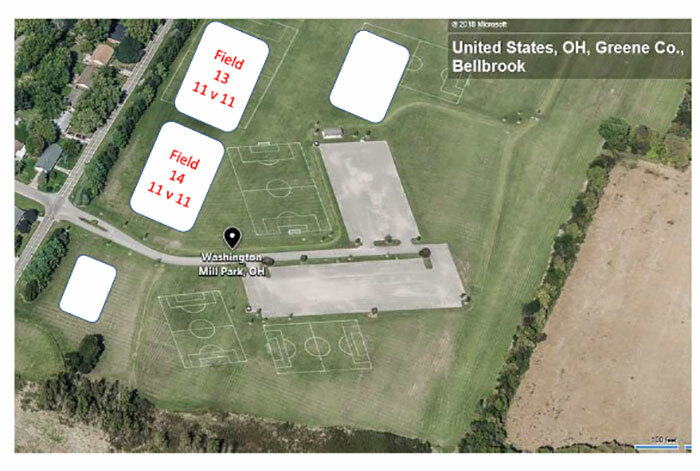 Ohio Fusion Soccer Classic assumes no responsibility for the accuracy of third-party maps or web sites. 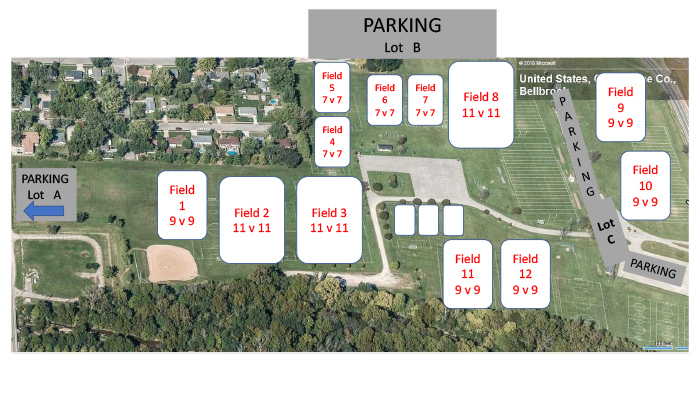 Please review what parking lot is closest to your game field. There will be signs indicating parking lots throughout downtown Bellbrook. PLEASE OBSERVE THE SPEED LIMIT! Take Exit 7 on I-675 (Wilmington Pike). Go south on Wilmington Pike. Turn left on 725 (there is a Kroger at the corner). Stay on 725 through downtown Bellbrook. Turn left on to Washington Mill (golf range at corner). Washington Mill park is on the right 1/3 mile down.